Original photo of embers by Ed Suominen via Flickr. Graphic by Daily Maverick. The Copyright Amendment Bill brings to front of mind the delicate balance of empowering creators and enhancing access to copyright material for society. So let’s step back: What is happening, what are the issues, how did we get here, and what should South Africa do now? The good intentions of South Africa’s copyright reform are on a precipice of going horribly wrong. Even at this hour, there is a chance to turn this around, to avoid the passing of legislation that is incomprehensible, over-reaching in well-meant protection of authors and performers, and in legislating over-broad copyright exceptions that will condemn South African consumers to foreign and inadequate or sub-standard creative content. The only stakeholders full of praise for this legislation are leading technology companies and ardent activists who seek to weaken copyright. It is quite telling that the same technology companies that are fuming against the imminent implementation of Article 13 of the Copyright Directive of the European Union (EU) parliament, which requires technology companies to monetise usage and pay fair compensation to creators and rights holders of the content that they use on their platforms, are celebrating here. Their intentions have nothing to do with viable sourcing of creative content from a developing country. They are quite happy for South Africa to pass botched legislation imitating what has failed elsewhere (notably in Canada), with superficial adherence to democratic processes and total disregard for local conditions and interest. Yet, South Africa is better than that! Ironically, it is those who are perceived as the malcontents – the local and international creative sector, the authors and performers and their producers and publishers – who stand up for the availability of quality content in a sustainable manner. So let’s step back: What is happening, what are the issues, how did we get here, and what should South Africa do now? In an interesting coincidence, the National Assembly in South Africa’s Parliament is scheduled to vote on the Copyright Amendment Bill in the next few days, at around the same time that the Standing Committee on Copyright and Related Rights (SCCR) of the World Intellectual Property Organisation (WIPO) will be debating the same issues of copyright raised by the Bill, notably copyright exceptions for education, libraries and archives. The consideration by the National Assembly and the sitting of the SCCR over the same time frame is like a confluence of events, resulting in the international community paying attention to what is happening in South Africa. What they are seeing is controversial, to say the least, as public statements made by the International Publishers Association, the International Authors Federation and the International Federation of Reproduction Rights Organisation testify. Two Bills have just been approved by the Portfolio Committee on Trade and Industry, after some significant reworking, and sent for passage by the National Assembly: the Copyright Amendment Bill and the Performers Protection Amendment Bill. According to the Portfolio Committee, the Bill that is to amend the Copyright Act seeks to “…establish and protect the rights of creators and copyright owners while balancing these with the need to provide access to users for purposes that benefit society”. Emphasis was placed on modernising legislation and aligning it with international treaties to which South Africa is already bound, like the Berne Convention, and also treaties which were signed in the 1990s but have still not been ratified or implemented: the WIPO Copyright Treaty and the WIPO Performers and Phonograms Treaty. Also, the Bills seek to deal with unfair contracts with creators and performers in response to claims about musicians “dying in poverty”. The latter objective is in line with the common role of copyright, namely to ensure just reward for creators while ensuring that consumers can access these works. One aspect of the Bills relates to retaining certain statutory rights to royalties for creators, even when they have transferred their rights to the producers of their works. While there is strong emphasis on correcting the wrongs in the relationship between creators and the organisations to which they assign their intellectual property, especially in South Africa due to entrenched historical inequalities, globally this problem is resolved through strengthening creator and industry representative bodies and effective enforcement of contracts that have been agreed between creators’ organisations, such as authors’ unions, and industry representatives, namely publishers’ associations. Countries that have strong creators’ and business associations do not experience acute cases of unfairness. The other complication with the Bills is the conflation of the issues that were found to apply to one copyright industry, namely music, across all copyright industries, including literary publishing, art, film-making, broadcasting and writing computer software. The genesis of the Copyright Amendment Bill was the Copyright Review Commission, headed by Justice Farlam, set up to investigate music royalties. The Committee produced its report in 2011. This followed the report of the Music Industries Task Team (MITT) of 2000. However, probably due to the music industry being more in the public eye, findings about that industry were applied across the board to all other industries that rely on copyright, without any regard for whether those issues existed there too. The conflation of issues between the industry sectors has its origin in the 2015 draft of the Copyright Amendment Bill, which the government had to separate out into the two separate Bills. Yet this conflated approach remains, as is very apparent in the language of the Bill, and transfers into the solutions that it applies. One example is the confusion of the work of collecting societies in the music and publishing sectors and the nature of the relationship between the collecting societies and the creators. In the music sector, collecting societies acquire copyright from member musicians by assignment and they act as agents or licensees for them. Authors’ literary works are not assigned to collecting societies. In the rare cases when authors of literary works do assign their copyright, it is to their publishers for them to compile composite works to which multiple authors contribute. In such cases, authors benefit from lump sum payments that are paid in advance, as opposed to the onerous administrative process of calculating each author’s share and the risk associated with works that may not sell. This is different from royalty payments on single or limited author works. For this reason, the submission of the Academic and Non-Fiction Authors Association of South Africa, ANFASA, correctly argues that the new Section 6A of the Copyright Amendment Bill, which is intended to remunerate authors, is actually to their disadvantage because it seeks to replace a lump sum payment with a percentage royalty. This is an example of where a solution to a problem in one sector does not transfer to another. The Bill’s solution for unfairness that may be inherent in the contracts that are signed between publishers and authors and the non-payment in individual cases is ministerial dictat and resultant invalidity of all contracts, not only the bad ones. Not only is this interference in a functioning market not desirable, it is also unnecessary. The publishing industry has already worked towards more equitable contracts with the ANFASA and PASA Agreement on Contract Terms (APACT). It is clear that by formulating the problem and solution in the music sector and imposing it on authors and the publishing sector, the Bill fails in its effort to improve the plight of authors. The second part of the Copyright Amendment Bill, which seeks to enhance “access” to protected works, supposedly for the benefit of society, has even more negative unintended consequences for authors and the publishing industry. To this end, both Bills provide for new, extensive copyright exceptions, situations where consumers may exercise the rights reserved by copyright without permission and without remuneration, whether to creators or producers. Attempting to enhance consumers’ permission-free usage of copyright works by way of new copyright exceptions on the one hand and improving the condition of authors on the other, are not necessarily compatible. Borrowing the analogy of Chinua Achebe, it is a classic case of carrying fire and water in the same mouth. The new exceptions in both Bills go beyond the fair dealing provisions that appear in the copyright laws of South Africa and other countries in the English law tradition, and beyond what is permitted by international treaties like the Berne Convention and its “Berne Annex”. The Berne Convention and its Annex make provisions for education and personal use under specific circumstances, in particular for recognised developing countries. The guiding principle is the so-called Three Step Test of the Berne Convention, which is repeated in more or less the same form in the other treaties on copyright and performers’ rights protection. Whereas these treaties provide for authors to be granted exclusive rights to their works and for those rights to be recognised in the countries that are members of those treaties, the Three Step Test permits member countries to legislate the limitation of the exclusive rights in special cases that do not conflict with a normal exploitation of the work and do not cause unreasonable prejudice to the legitimate interests of the author. Copyright exceptions for education, libraries, research and archival use is a strong component of the new legislation. If users of copyright works in these sectors take full advantage of these exceptions, there will be major implications for authors and the whole literary publishing sector. The legislative process did not take into account the huge proportion of the literary publishing sector that relies on education sales. In more developed countries, the general book (trade) sector is much bigger than the education sector and the industry relies more on the purchase of trade books. In Africa and South Africa, the reverse is true. Education publications drive the industry. If one considers sales of textbooks to schools, colleges and universities and trade books that are sold to libraries and education institutions, the education sector in its broad terms can be as big as 75% of the sector. The new copyright exceptions are therefore likely to have a devastating impact, significantly reducing revenue to the industry and royalties, even to the extent of leaving the business of the production of these works unviable. I salute the gusto of the Parliamentary Committee that was handed a mammoth task of not only having to deal with the two very important and complex Bills, but had to do much work just to make them comprehensible. Nevertheless, it is puzzling that while the committee clearly was (and is) aware of the importance of this legislation and its intended impact on authors and benefit to society, no impact study was done to assess the assumptions that were made with regard to the implications of the Bills. The committee relied on the input of contesting and interested parties, and some claiming to be “helping friends” of those parties. The argument of enhancing access for users and benefit for society is naturally a lot more appealing than that of commercial entities. a weighted decline in employment of 30% or the equivalent of 1,250 jobs. Critics may argue that a study commissioned by the industry is self-serving, but it is another matter altogether not to come up with any study at all. There are always views that concerns like these are alarmist and that the negative effects are exaggerated. However, in this case, there has been a notable reluctance by universities already to continue with their existing collecting society licences for the use of copyright materials. 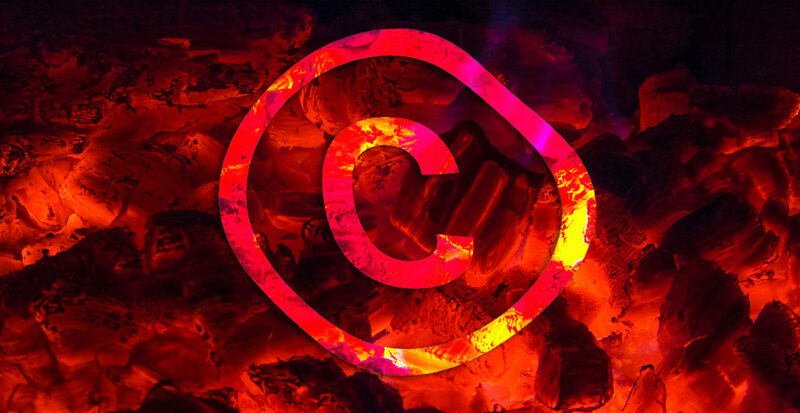 Existing collective licences in South Africa allow academic institutions wishing to reproduce copyright material either to pay a licence fee based on actual usage, or to pay a lump sum, which is a so-called “blanket licence” requiring far less paperwork. My prognosis is that, after the Bills become law, universities will come to the conclusion, rightly or wrongly, that most, if not all, of their reproductions and other uses of copyright material will fall under the new copyright exceptions for education, thereby creating an instant dispute between copyright owners and universities. The Bills are coming at a time when technology provides platforms for very dynamic use and sharing of copyright materials, a time when rights holders are calling for more protection in a digital environment where they feel vulnerable. The Bills open up copyright materials and performances by musicians and on film to unpaid-for use on the platforms of technology companies. It is also at a time when technology is opening up new possibilities for digitally enhanced learning with major possibilities of improving learning experiences and improving learning outcomes, something that our education system needs desperately. It is a time when investment in digital technology and innovation is required for education. The State on its own cannot be expected to carry the huge initial investment requirements. The Bills, with their more open approach and additional copyright exceptions, do not create an environment that is conducive to this investment. Indeed, with the Bills going before Parliament, there is a very cautious approach to any further investment in the copyright industries. While the current challenge of access to learning materials in education has a lot to do with limited access to textbooks due to many factors, including the cost of textbooks, inadequate budget, distribution inefficiencies and diversion of funds allocated for textbooks, it is no longer a matter of lack of local production of appropriate material, as was the case decades ago. A lot of progress has been made in developing a sector that is properly geared to supporting education by developing appropriate local materials that cater for the needs of local education. It is a far cry from the 1970s and ’80s when the majority of education materials were developed in Europe and the US by international companies and shipped to South Africa. In addition to international companies localising all their operations to produce local content written by local authors and developed by local experts to meet the specific needs of education, there is now significant investment in the sector by local companies, including black companies. The consensus among these companies is that the Bills will affect them negatively and lead to their demise. The impact on local companies will be harsher. Many international companies rely relatively less on the South African market and will be able to focus on more favourable markets. Local entities do not have that option. They will take the full wind. Earlier in November 2018, the ruling party was holding consultative meetings with the cultural and creative industries, including the publishing sector, as part of its broader consultation with business ahead of its policy conference. In all these consultations, industry pleaded with the ruling party to engage it on resolving issues in the industry, including greater access for the benefit of society, before taking drastic measures that are most likely to have negative consequences for the industry. It became clear from these meetings that it does not look as if there had been adequate consultation and alignment of policy between departments like Trade and Industry, Education, Arts and Culture, Economic Planning and Small Business Development to have a holistic assessment of the implications of policy on relevant sectors. This leads to significant policy misalignment and dissonance. While the need for greater access to copyright materials for society and education is acknowledged as a matter that needs urgent attention, the Copyright Amendment Bill seems to be very bitter medicine with terrible side effects and very limited curative properties for authors and the publishing sector. Brian Wafawarowa is the immediate-past chair and executive director of the Publishers’ Association of South Africa (PASA) and the African Publishers Network (APNET). He serves on the board of the International Publishers Association (IPA) based in Geneva and a number of education and reading trusts. He is the director of Lefa Publishing and Research Services and consults for global organisations like the World Intellectual Property Organization (WIPO). The views expressed here are his own.